Today, I’m talking with Max Van Den Ingh, the Head of Growth at MisterGreen Direct, a company that changes the way consumers lease electric cars by removing the headaches and simplifying the process down to 5-minutes. Max and his team built MisterGreen Direct from $0 to $150k MRR in 150 days. 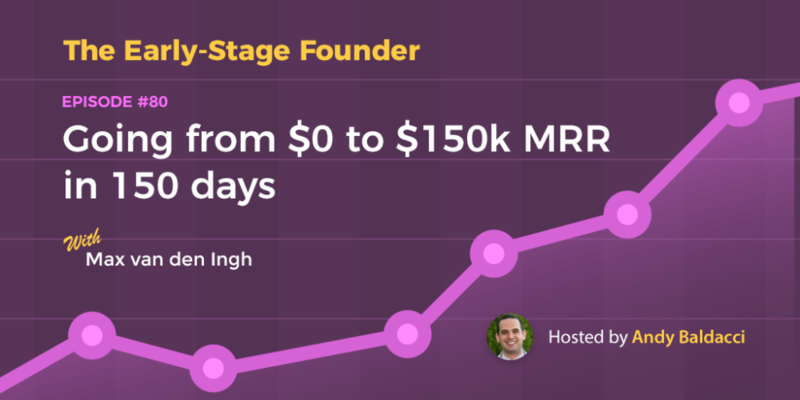 Yes, $150k MRR in 150 days. Pretty impressive, huh? In our chat today, Max shares how he approaches growth in general, how he built a team to help him achieve these impressive numbers, and what their growth strategy looks like in practice. What is MisterGreen Direct and what is your role there? What exactly does growth mean to you? Who should be in the growth team? What does your growth engine look like in practice? How has this approach evolved over time? What specific mistakes did you make early on? Why did you build your own landing page and content production software? What are your challenges going forward? What is one thing listeners can do this week to get more serious about building their own growth engine?